Visit KUALA LUMPUR in neighbouring Malaysia with this 3D2N travel package for only $175 per pax! Kuala Lumpur is a melting pot of cultures that are as varied as its lip-smacking cuisines. This vibrant Asian metropolis is whipped into frenzy during F1 and festive seasons. Home of fine dining and good eating, from 5-star restaurants to 5-foot ways, there is hardly anything you can't love about Kuala Lumpur. The best part? There is plenty of shopping and bargain-hunting that can be done at uber-stylish malls. 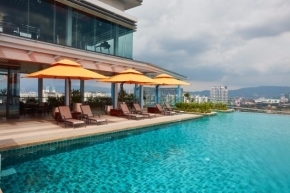 Hotel Sentral Kuala Lumpur is a newly opened 3 star business hotel in Kuala Lumpur.